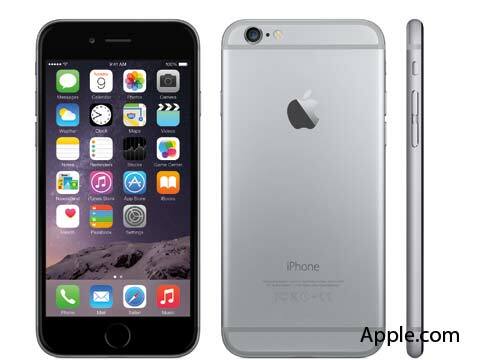 Vendors through e-commerce sites have started offering premium smartphone iPhone 6 at a starting price of Rs 56,000. The official launch date and other details for India are yet to be announced by Apple. A vendor at eBay is offering iPhone 6 for about Rs 55,954, and promising October 8 as the estimated time to deliver the product without any extra shipping cost. Another vendor on ShopClues.com in a mailer shared price of 16 GB iPhone 6 with 4.7 inch screen size at Rs 59,999. Besides, the ecommerce firm is charging Rs 149 as shipping cost and promising on its website to deliver product by October 8. Apple unveiled these phones on September 9 and reports have speculated that Apple may officially start selling iPhone 6 series in India from mid-October or early November. Vendors at eBay have also started pre-booking iPhone 6 Plus which has 5.5 inch screen at a starting price of Rs 77,000.